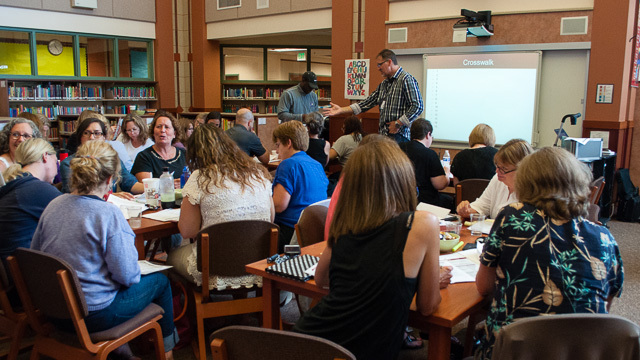 View recaps of events held by The BERC Group that support professional development and teacher collaboration about the STAR Framework for Powerful Teaching and Learning. Check the events page to see when and where the next big conference or workshop is where you can learn about Powerful Teaching and Learning and STAR - from inspiration to implementation - or how to better understand the changing dynamics of the education industry. Presentations can also be customized for you, at your building! Dr. Duane Baker used 14 years of education reform research to tie the many current educational initiatives together with the goal of preparing educators to begin the school year with a clear vision, personal inspiration, and a readiness to implement change. Results from cross-walking the Washington State Evaluation System with 25,000 classroom observations to predict how Washington State teachers will perform on the State Criteria. Dr. Duane Baker presents at the Seattle Arts Museum to share with a Community of Thinkers committed to the Arts and Education the impact of effective classroom practices on student learning. A new approach to our Powerful Teaching and Learning conferences. In the spirit of professional learning communities, we focused on less presentation and more interaction. Educators from Washington and Missouri school districts were in attendance as we kicked off the June, 2009 Seattle Powerful Teaching and Learning Conference.